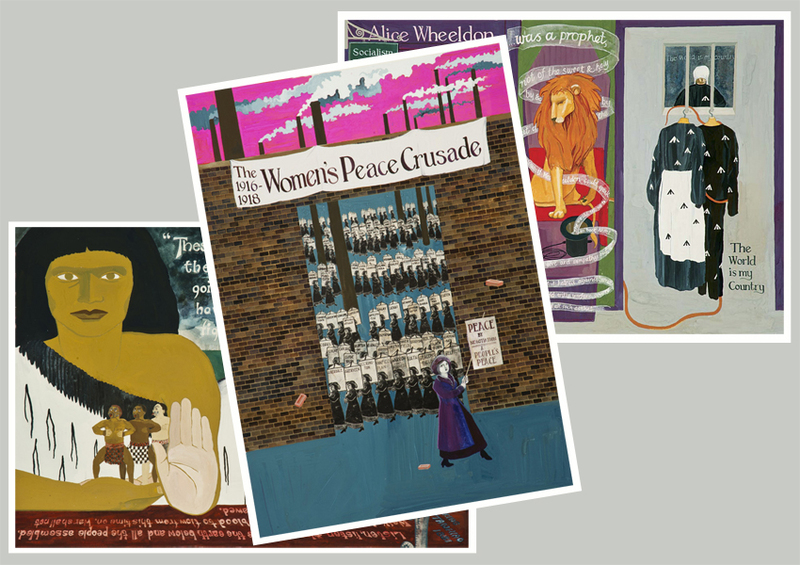 Featuring the distinctive graphic art of Emily Johns, they tell a history of police raids and clandestine printing presses, disobedient soldiers and feminist peace initiatives, Maori princesses and striking German munitions workers (see below for links to all ten posters). Posters cost £2.50 each, poems and songs cost £1.50 each. Posters are 42cm wide by 59.4cm high. Broadsheets are 35cm wide by 60cm high. Postage and packing for up to 20 posters is £6 for the UK, £9 for Europe and £15 for outside Europe. View more details and select your posters below.